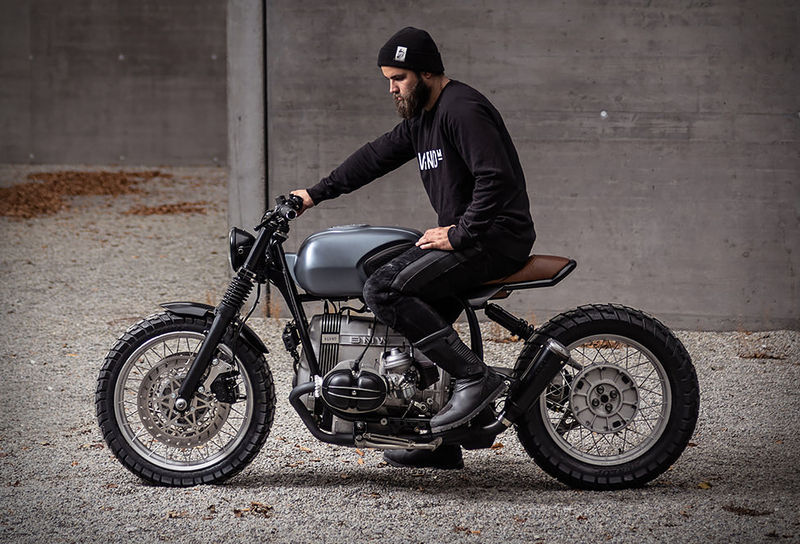 Vagabund Moto from Austria, are specialists in exploring the creative possibilities within the inspiring world of vintage motorcycles. 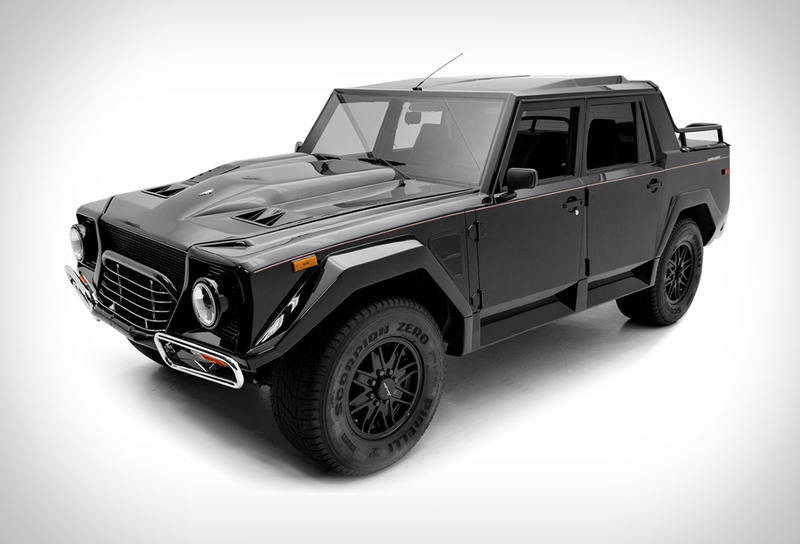 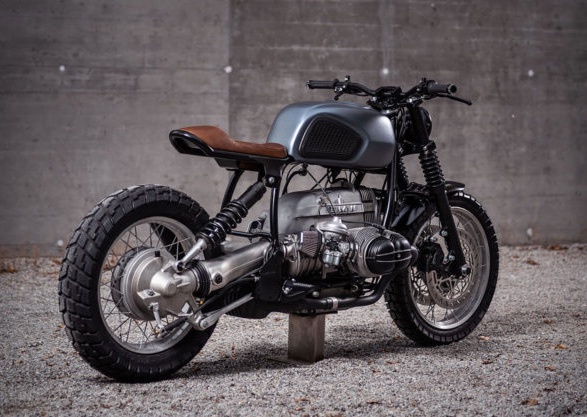 They are masters in transforming BMW´s into sharp custom boxers with stark, futuristic lines, and amazing attention to detail. 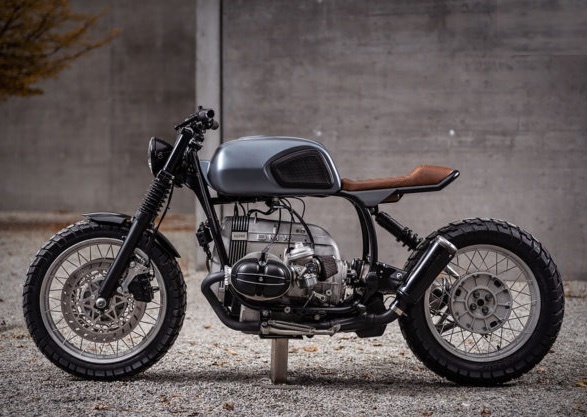 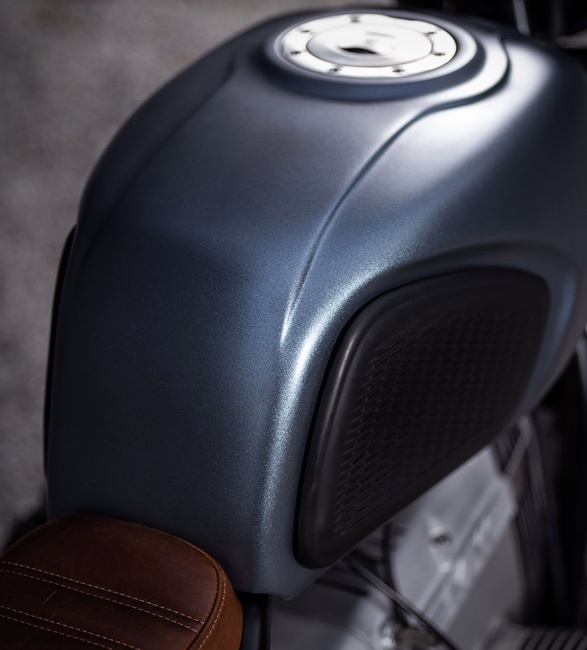 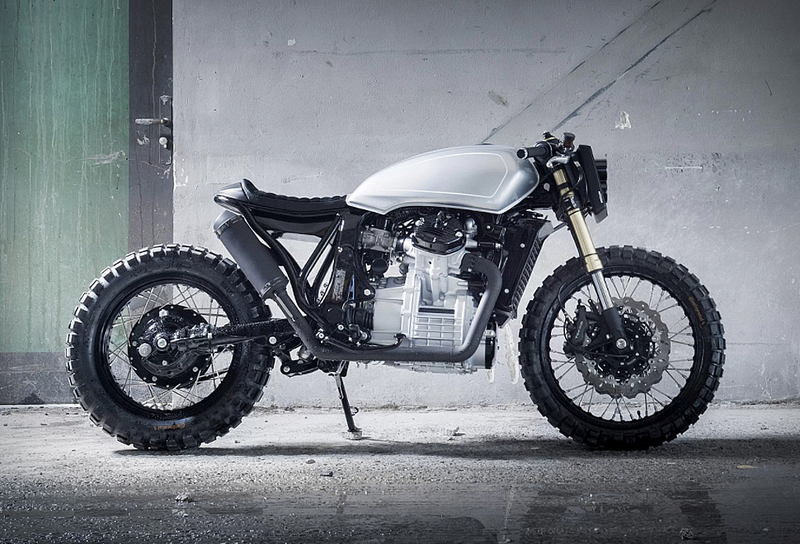 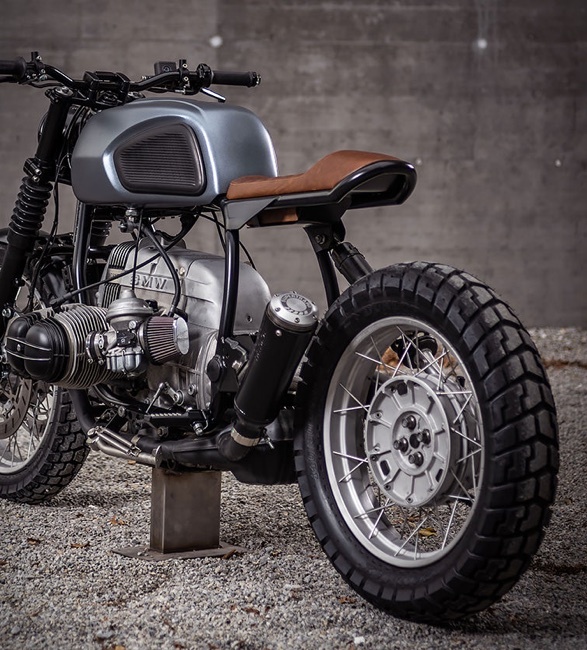 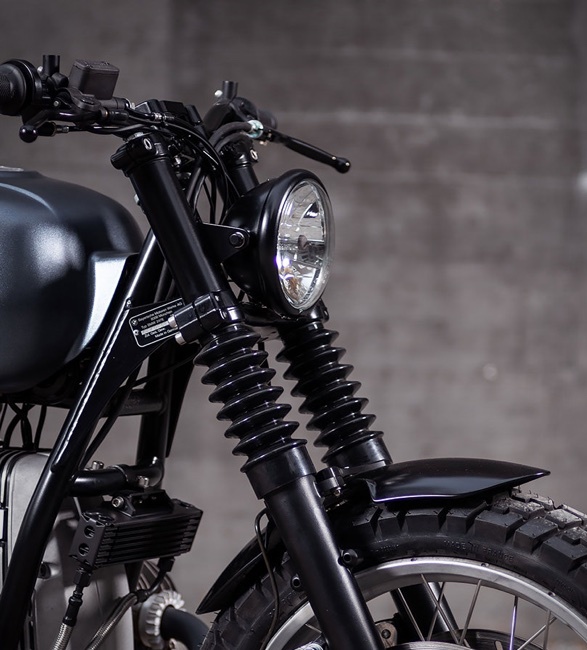 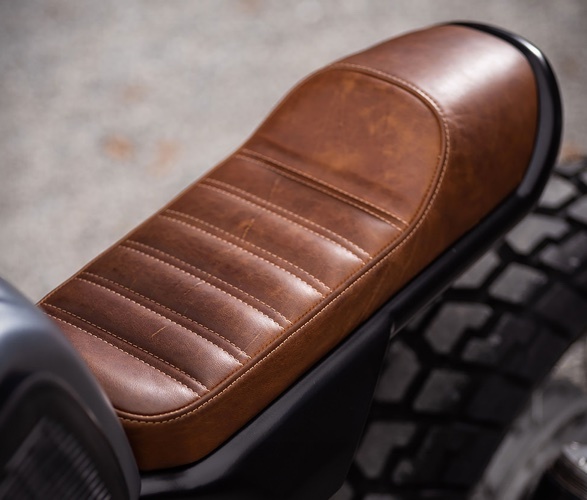 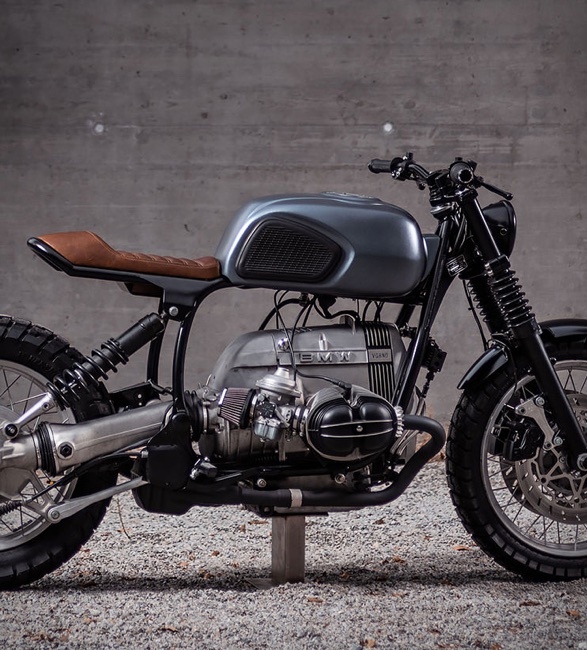 Their latest creation is the V11, a sleek build based on a BMW R 100 R from 1991. 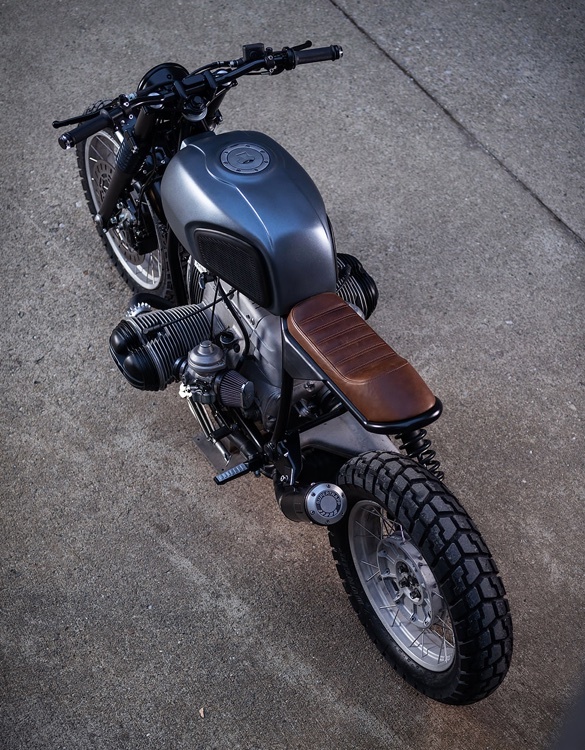 Details include a new custom tank, a new headlight powder-coateded in black, shortened handlebars, upgraded brake discs, a new subframe out back, LED turn signals that double as tail lights, new Dunlop Trailmax tires, plus a custom-made brown leather saddle that hides a first aid kit underneath.